Last weekend we headed off to the swap meet. I love browsing through the stalls. There's lots of good stuff to look at,some of it pretty pricy and geared towards the collector but there's also a tonne of bric a brac for the rummagers, like myself. I snavelled a few treasures and a couple of bargains. 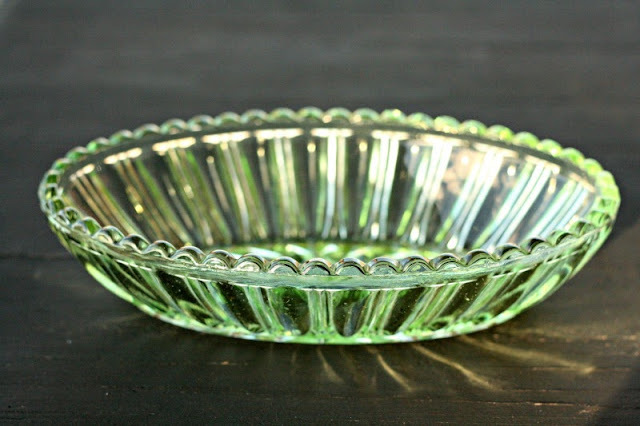 There were some beautiful pieces of depression glass priced at $50 plus so when I spotted this one on a junky old stall for $10, I jumped on it. It's my second piece now...a collection yes?! 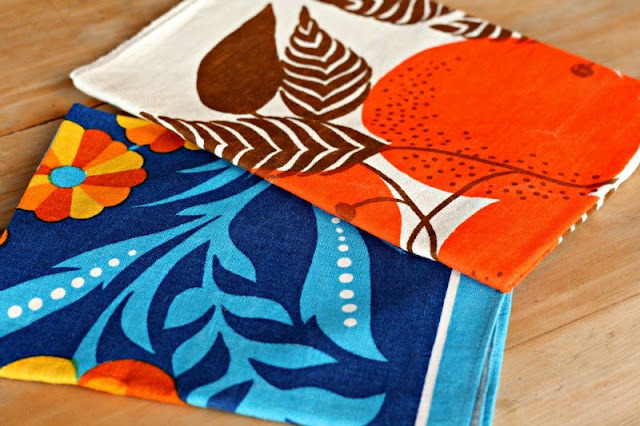 Cheerful linen teatowels, $5 a piece. 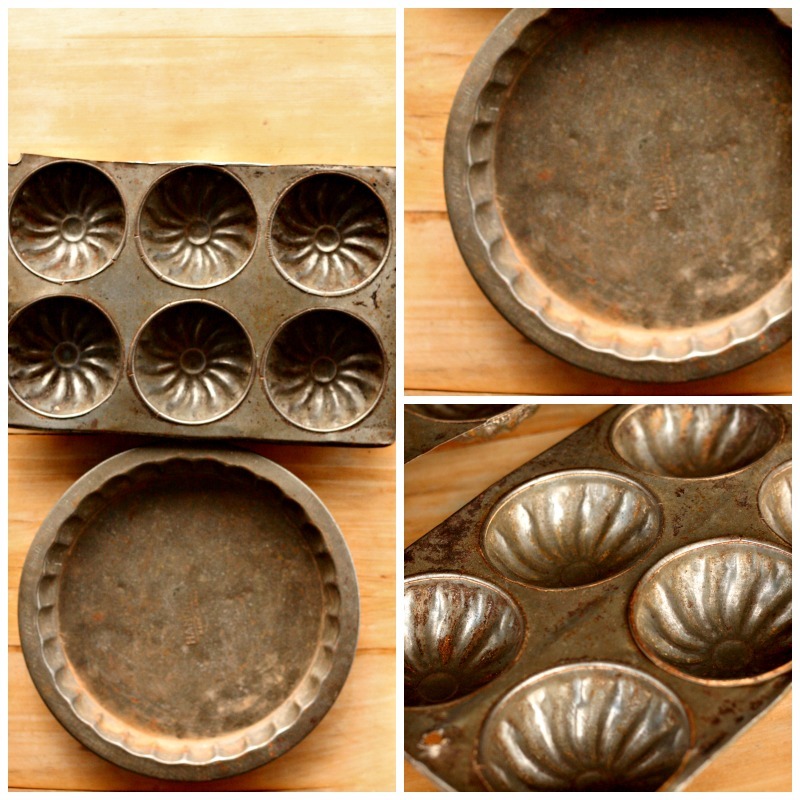 Some vintage tins, $4.00 for the pie tin and 50c each for the cupcake tins-I picked up two. These old tins will be used in my sewing room to house vintage buttons and other treasures. Some lovely friends of ours live a couple of minutes walk from the showgrounds where the swap meet is held. It is always SO crazy busy, so lucky for us we have a place to park. Afterwards we headed back to their place for lunch and the neighbourhood children-including theirs had set up a cake stall in their street. It was doing a roaring trade and we couldn't resist buying a few chocolate brownies-straight out of the oven. My friend Annie happened to have her neighbours recipe and I scribbled down a copy. I made a batch yesterday arvo. The kids got off the school bus to warm brownies for afternoon tea and they have been declared the 'best ever' chocolate brownies. Do yourself a favour and make a batch soon! They are actually called Speedy Chocolate Brownies but of course we have renamed them at our place. Place all ingredients in a bowl and mix together with electric beaters. Line 20x25cm tin with baking paper. Pour mixture in and bake at 170 deg cel for approx 40 minutes. Test with a skewer. This recipe is best undercooked. The end result will be a lovely moist brownie with the perfect amount of crunch on top! ooh, you can't beat a good rummage! The depression glass is the most beautiful colour. Is your other piece the same? The brownies look delish. I've got the most fearsome sweet tooth since i've been breastfeeding Fin so i'm definatly going to make these babies! When I've got my kitchen back I'll definitely give those Brownies a whirl. I have some green glass for your collection (I've been looking for a new home for it) Will try and hit the post office next week. I so enjoyed reading about your swap meet Lea.....I could just picture it in my mind..I bet it was so much fun keeping your eye out for a special little piece on each table. 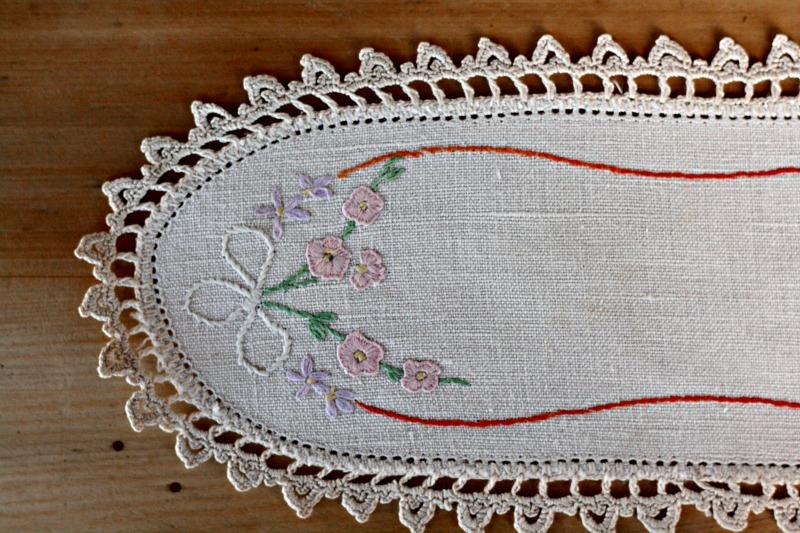 I adore your finds...and thanks for the lovely brownie recipe...I might just give that a try this week...I think it would make a lovely little birthday gift for someone I know. I went to my first swap meet this year and loved it. So much stuff to look at and its interesting to see what the prices are on pieces you already have. Bel was telling me about the cake stall next to her mum's place, they did it last year as well and was a huge success. Good on them! How adorable is the madeleine tin! 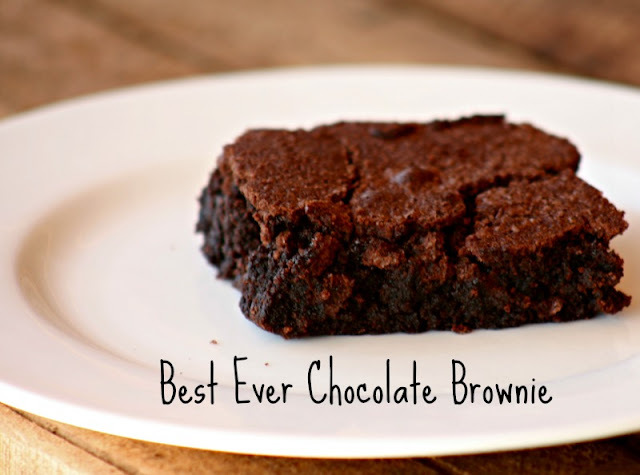 I always love brownies! Those ones look lovely and moist.